The next set of books from Independence Educational Publishers has appeared. 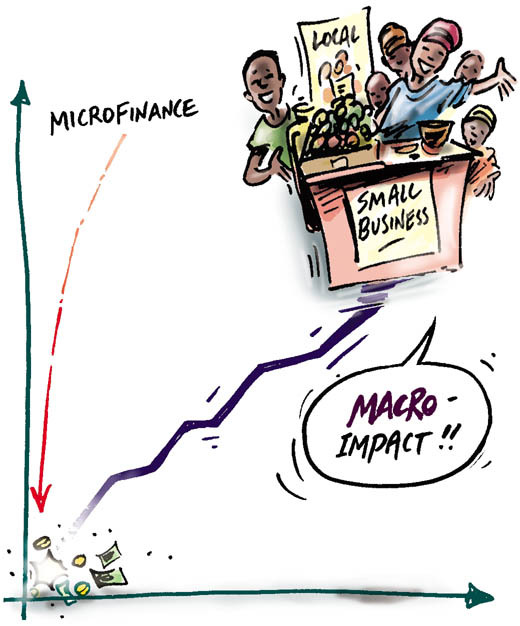 From the Poverty book here is a cartoon illustrating a positive article on the value of microfinance. 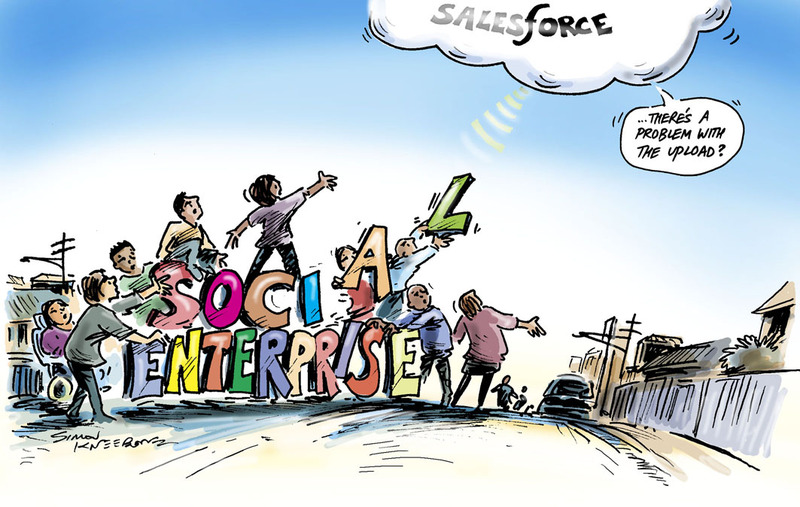 In a slightly deluded belief that providing a cloud for uploading files is cutting edge community development ‘Global cloud computing giant, Salesforce.com has defended its plans to trademark the term ‘social enterprise’ world wide’. Click here to read the story on the Pro Bono website. ‘Many responses … have described the Salesforce.com moves as absurd, ridiculous, foolish and brand suicide’. John McKenna is a well-known Australian disability commentator, and this week publishes his 80th post on his blog. (It is also his 50th birthday this week – more reason to celebrate!). 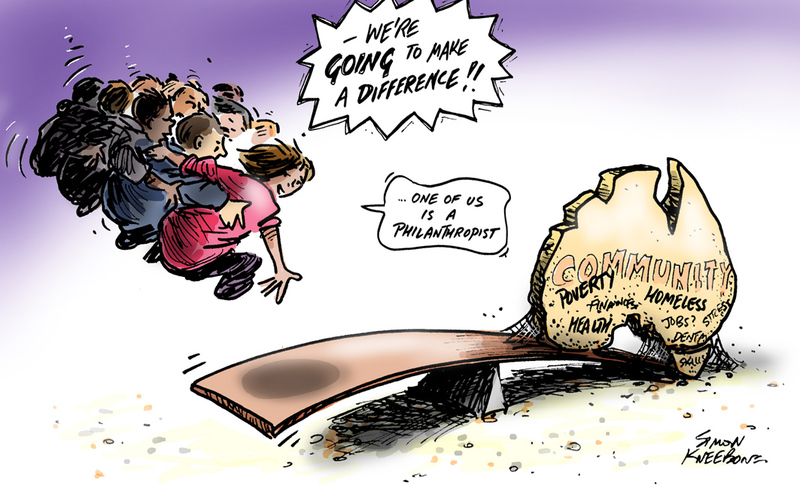 For some time, in collaboration with John, I have been drawing cartoons to illustrate some of his posts. The Melbourne branch of the School for Social Entrepreneurs http://www.sse.org.au/ had the evaluation of their 2011 program on November 24th. The 16 participants reflected and shared significant stories with the help of a History Trip Activity. I was there to illustrate some of the stories in cartoons. The photographs show the History Trip spreading across the wall, along with stories, notes, jottings and cartoons – a visualisation of the participants’ 2011 experiences. Below are a few of the cartoons.